Themed School – Bored to Tears ? A special theme based school is a novel concept targeting kids in traditional schools who require an educational challenge. Themed-schools were developed in response to parents concerns about the state of public education and students’ complaints about lack of intellectual challenge. There are a lot of good students in traditional classes who are literally... bored to tears. And, a school theme would help keep them engaged. They have mastered the material being taught and want more advanced options than what is being made available. It does not make sense to prevent a child from excelling, and so... the themed-school concept was developed in response. 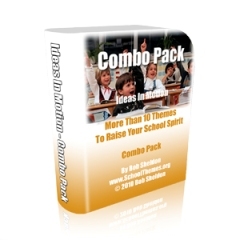 School themes fit all schools, catholic school, private school, elementary school, middle school, boys school, montessori school etc. Themed School – Challenge Me! Challenging students means encouraging them to work at their highest level. How you find that level is the subject of a themed-school. One of the main complaints from intelligent hard-working students is they are not challenged by the daily work in school. These kids are the ones who search for additional educational opportunities in your communities. How much better it is for a themed-school to direct those intellectual energies in a way that benefits their general education while offering the level of intellectual stimulation they desire ! A themed-school is a concept that is rapidly spreading. They are created by both state and private school systems. A school with a themed program curriculum may offer courses in international business, physics, civil engineering and a host of other career areas. The students at these schools work at their own pace, but that’s never a problem. They are star students looking for educational advancement. A themed-school promotes total emphasis on specialized programs for students. 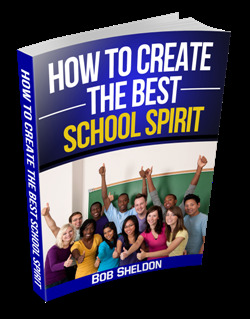 There are also similar programs within traditional schools that utilize the same concept. 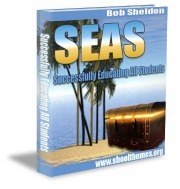 These programs are used even for first grade students who may need an educational challenge. It's a focused way to explore particular topics in depth. The programs can address many different subjects including space exploration, the history of transportation, pioneer living or even abstract art. The possible topics are unlimited. It's all about serving student needs through a themed school program that involves special learning experiences that expand instruction beyond traditional boundaries. These experiences expand student horizons and explore specific topics in great depth. If your child is bored at school or the school program is lifeless, consider a themed-school program or curriculum. The success of these schools and programs has been phenomenal. They re-engage children who need the intellectual stimulation. A themed school program can be used at any grade level to inspire students to higher educational achievement. There are many themed-school programs available and there’s one that’s perfect for your student group too. Leave Themed School and Get Your School Theme!